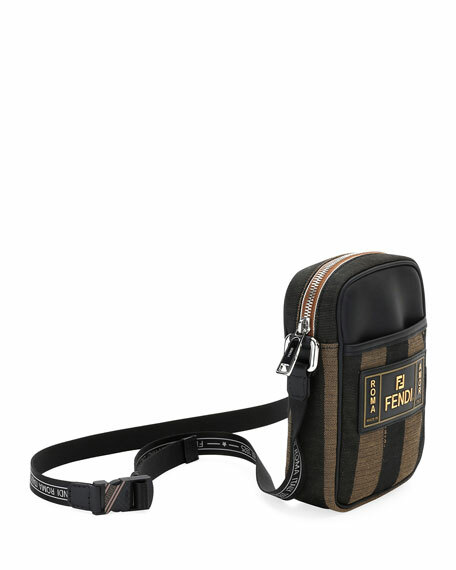 Fendi camera bag in Pequin striped canvas with calf leather trim. Adjustable logo web shoulder strap. Zip-top closures with logo-embossed pulls. Exterior logo applique on front. 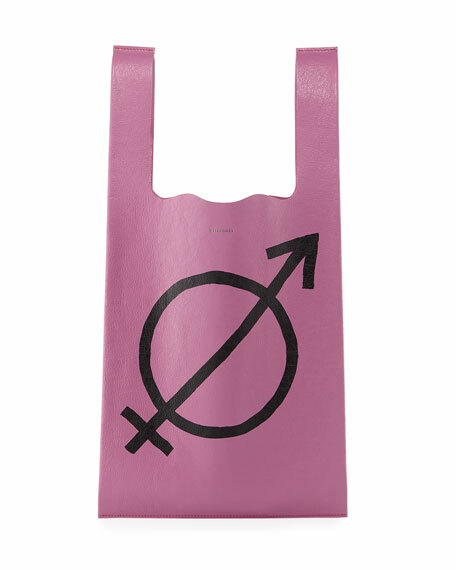 Balenciaga grocery bag in silky leather with printed gender symbol. Flat side handles. Open top. Interior, detachable zip pouch. 23"H x 13.3"W x 1.2"D. Made in Italy. 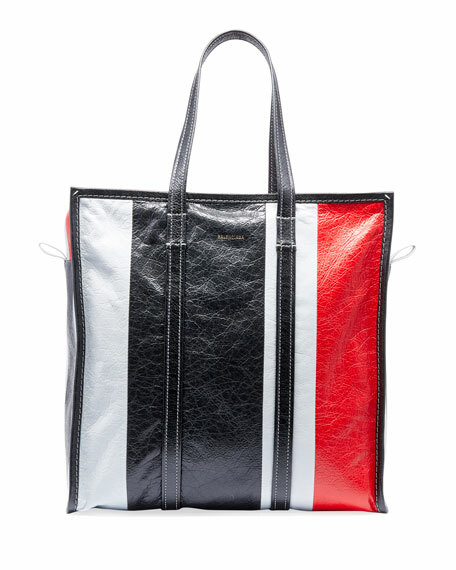 Balenciaga Shopper striped lambskin leather tote bag. Silvertone hardware. Flat top handles. 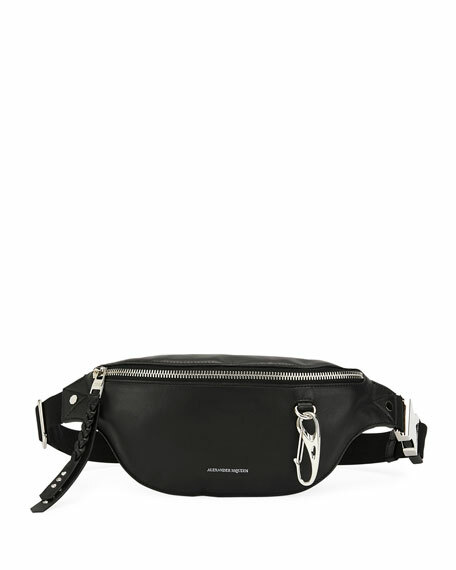 Two-way zip top closure. Embossed logo at at top center. Interior, one zip and one slip pocket. "Bazar" is made in Italy. 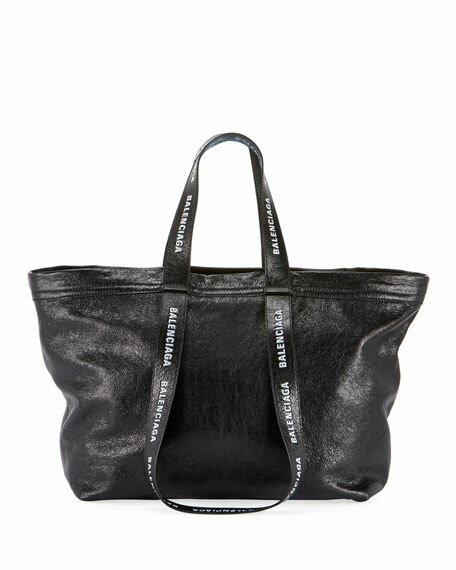 Balenciaga shopper tote bag with logo-print trim. Tonal flat top handles. Open top. Genuine lambskin. Approx. 12.2"H x 13.3"W x 7"D. Made in Italy.